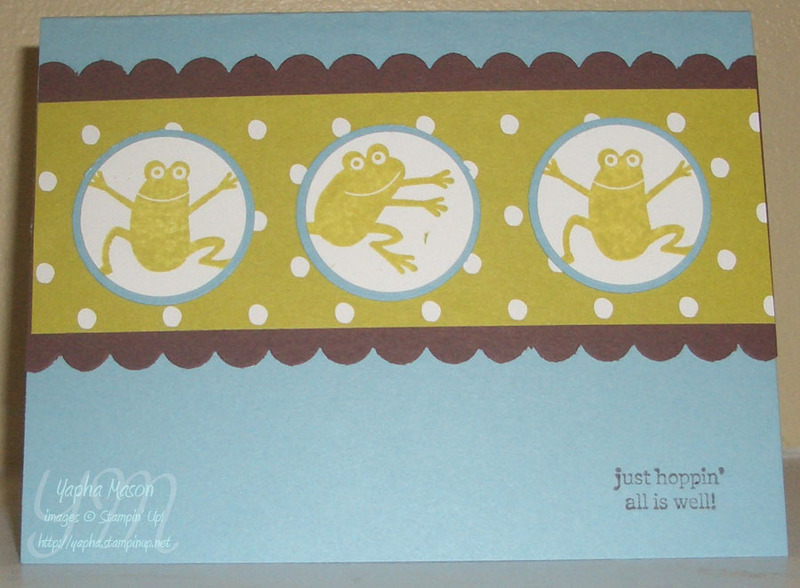 I decided to do another scalloped circle card. The circle reminds me of a seder plate. And the frogs, the second plague, are one of my family’s traditional Passover symbols. 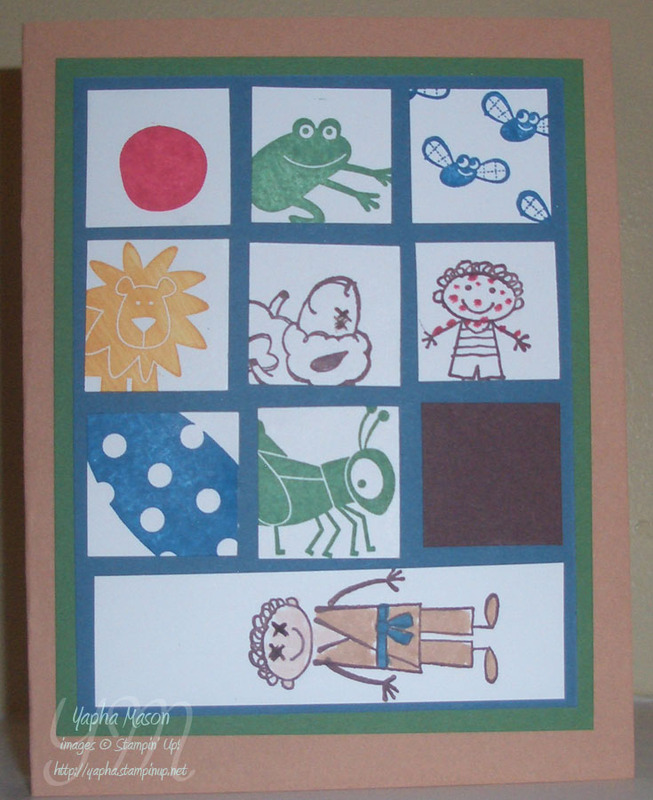 I used textured cardstock for the Kiwi Kiss and the Baja Breeze. I liked how it adds just a little more dimension. 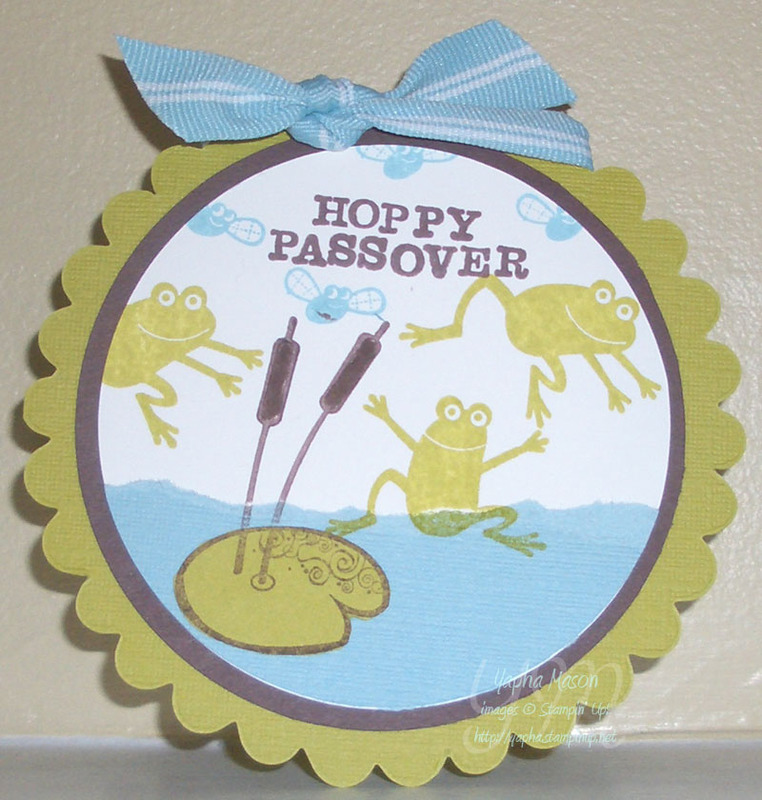 Hoppy Passover to you and yours! You can learn more about Passover from Judaism 101. 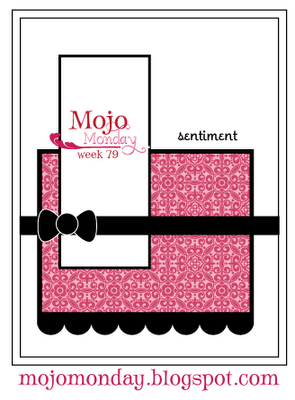 You may notice that the colors are the same as the ones from the Cheep Talk card last week. 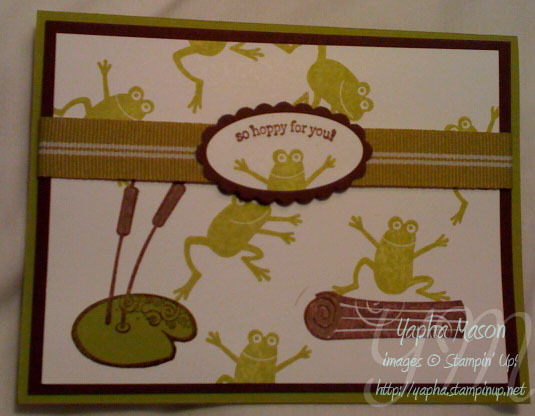 I used the same colors from the Good Morning Sunshine Designer Series Paper. I love this paper pack. The colors are amazing! I am loving this new frog set! It is so cute! 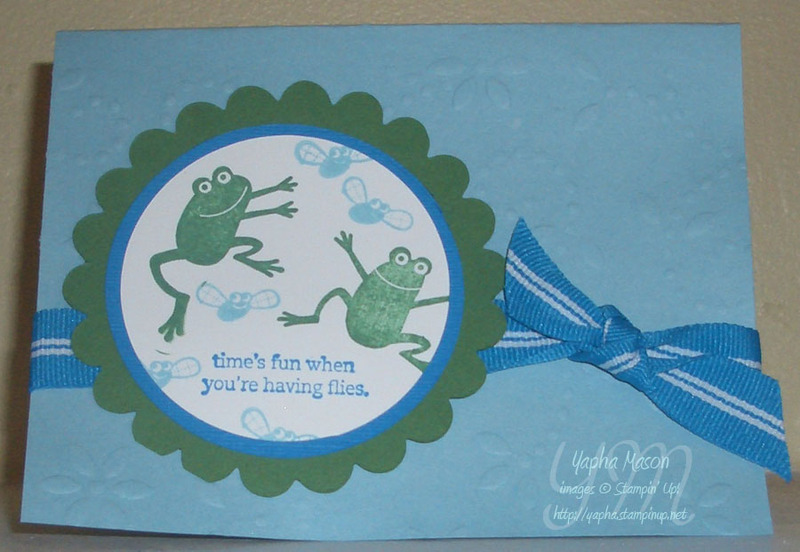 And my favorite of all the sayings is “Time’s fun when you’re having flies!” I used it to make a card from last week’s SplitCoast Stampers Color Challenge. 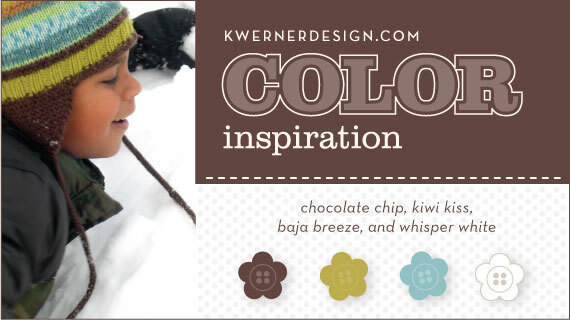 The colors were Baja Breeze, Pacific Point, and Garden Green. It’s hard to see, but I used one of the new Texturz plates on the Baja Breeze background. I also used the new Circle Scissors Plus to make the two round circles. Love it! So easy to use! You’ll be seeing plenty more of these frogs as we get closer to Passover!